If you are a tech professional then you have most consumed your fair share of blockchain hype. For good reason, blockchain is pretty damn awesome when used for the right things. 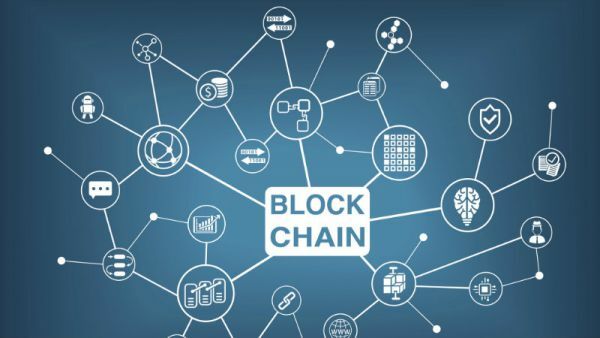 In a previous article I talked about what a blockchain is, what are some of the tradeoffs for using a blockchain and when the best time to use one is. To rehash (pun intended) for new readers, the blockchain is a new form of distributed database, where everyone retains a copy and old entries are tamper proof. Blockchains are pretty inefficient, slow, complicated pieces of software, but what they lack in speed and efficiency they make up in fault tolerance and immutability. I like to envision adding new records to the ledger like as a scribe chiseling hieroglyphics into stone tablets, sure the process is slow as christmas but the data is meant to be virtually immortal and hard to replicate. So in this article i’m going to talk about some of the use cases that, in my opinion are the use cases who best leverage the need for transparency and immutability. The first use case, and most glaringly obvious, is digital currency. The very first embodiment of blockchain is in fact the digital currency bitcoin. Bitcoin utilizes blockchain technology to track the creation and transfer of ownership of the bitcoin currency. For decades, computer scientist tried to create digital cash but were ultimately unsuccessful until bitcoin. What I mean by digital cash is, a way to transfer value between one or more actors one directionally without the need of a middle man and without fear of reversal or interference from a hostile third party such as but not limited to a rogue state agents. Sounds nefarious I know, but such are the requirements for sound magic internet money. When I send value to you, I need to know that you got it, and everyone else needs to know that I’m no longer the owner of said value, so that the value retains its value. Blockchain meets the demand. If there was one thing the last US general election really illuminated was the fact that there is an ever growing sentiment of skepticism surrounding the validity of the election. To say it frankly, the majority of US citizens, and candidates alike, thought the election was completely rigged. Even the new President is so convinced that he won the popular vote (lol) that he is trying to get all the states to turn over their state’s voter registry, party affiliation, ss# and address of every voter in the country. The scary thing is, those fears aren’t entirely unfounded either. In 2006 an Emmy nominated documentary titled “hacking democracy” demonstrated how elections could be hacked and even altered remotely. The cloak of secrecy hangs over the proprietary voting machines and their software only serve to further cast increasingly large shadows of doubt on our election process. Sure it’s easy to say “well that documentary was created a decade ago” that’s true, it was, but not much has changed since then. The machines are still as proprietary as they ever were and evidence of election fraud has surfaced multiple times since then with the latest being uncovered this year. But imagine if elections were completely transparent and auditable by every citizen. How valuable would the peace of mind be, to know that your nation’s elections were decided by immutable votes cast by verifiable identities and not rigged by some evil entity lurking in the shadows? You would be able to rest easy knowing for a fact that the outcome of every election, was actually the will of the people and not the will of a tyrannical few. This is exactly the peace of mind blockchain technology was built for. Another incredible use-case for blockchain is identity management. Currently it is estimated that 51 million babies, 1/3 of all new babies born annually, not registered annually. Because these children have no form of birth certificate, for all intents and purposes, they simply do not exist. Globally the number of children under 5 without some sort of documentation is upwards of 220m. Which excludes China who doesn’t report those numbers out. Studies show that without a birth certificate, children are more likely to be poorer, struggle to get healthcare, attend school, or even get vaccinations needed for survival. That’s just one branch of one’s identity. From there we can create marriage registries, web of trust, credit scores, property ownership and transfer, achievement tracking and so much more. A supply chain is defined as a network between a company and its suppliers to produce and distribute a specific product, and the supply chain represents the steps it takes to get the product or service to the customer. The amount spent in the U.S. logistics and transportation industry alone exceeded $1.48 trillion in 2015, and represented 8 percent of annual GDP. Analysts expect industry investment to correlate with sector-specific growth in the U.S. economy. If your light bulb isn’t going off right now, than you haven’t been paying attention. What do we know that is also defined as a network that helps move things of value around in a very auditable way? Blockchain! Blockchain will disrupt the supply chain industry, its only a matter of time. Because this problem is what blockchain was invented to solve. Some of the pitfalls of the current humanitarian model are lack of transparency, accountability and accessibility. All of which, are solved implicitly with blockchain technology. With the blockchain, charities are publicly accountable to every fund they receive and they can easily track and approve where it ended up. There are no global statistics on charitable giving, but the aggregate from United States, China, United Kingdom, Russia, Australia, and Switzerland is: $410.71 billion. That is $410.71 billion reasons to use blockchain technology. To wrap it all up, these are but a few of my most favourite use cases for blockchain technology (most of which ive personally worked on). There are certainly more, like gamification, and loyalty rewards, and governance but I’ll go into those in a later blog post. I left out smart contracts because i’m going to do a post strictly dedicated to those. If you have a good blockchain use case, leave it in the comments below i’d love to hear about them.